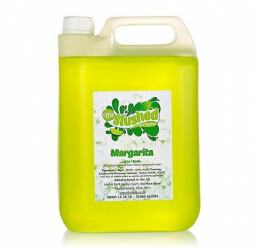 4 x 5Ltrs genuine Margarita slush concentrated syrup which makes premium iced slush cocktails, Mr Slushed® Margarita slush syrup is a premium concentrate which is mixed with water and a spirit of your choice directly into your slush machine tank to make real Margarita iced slush cocktails. 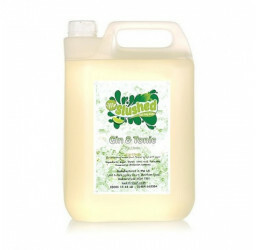 Buy your cocktail slush syrups online and receive next working day. 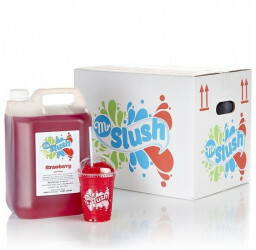 Mr Slushed® is a premium cocktail slush syrup concentrate, made with exacting attention to quality, using a complicated 2 step manufacturing process which ensures more than just a cocktail flavoured slush concentrate. 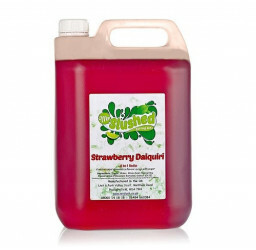 All you need to make premium frozen cocktails is Mr Slushed, the appropriate alcohol, some water and a premium slush machine, powerful enough to freeze alcohol. The mix ratio can vary slightly but as a guide, the ratios are 1 part Mr Slushed cocktail slush syrup, 1 part spirit such as Vodka or Rum and 4 parts water. Simply pour these directly into your slush machine tank and turn the machine on to freeze mode. Your cocktail slushies will be ready to serve within the hour. 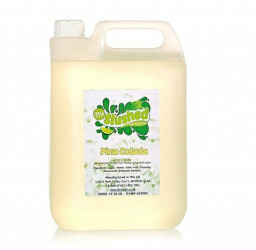 Margarita slush syrup is manufactured using only premium grade ingredients, including real British sugar. Our professional 2 step manufacturing process incorporates high-temperature pasteurisation and high-pressure homogenisation which guarantees a consistent and high quality product. 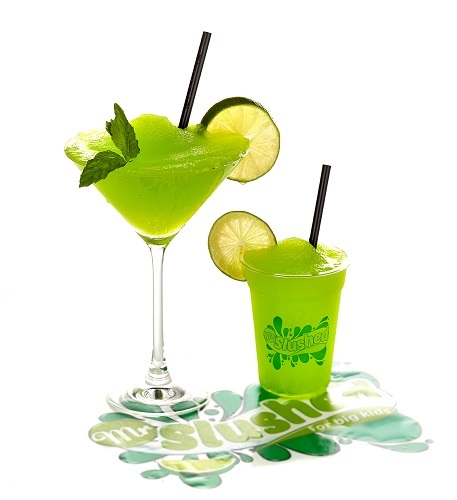 Our Margarita slush for iced cocktails is more than just a slush concentrate flavour, it delivers a real Margarita cocktail slush drink. Selling Margarita slush cocktails is very popular and profitable. 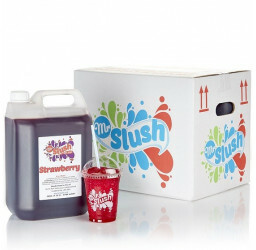 The average cost to make a 200ml slushie cocktail is just 10p for the slush syrup and approx. 40p-50p for the spirit, depending on which brand you decide to use. The usual selling price ranges between £5.00 to £7.50 for each drink. 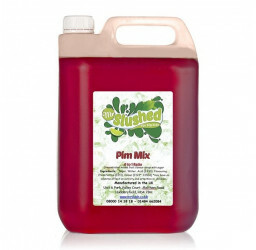 Available in full cases of 4 x 5Ltr or half and full pallets, our cases can also be mixed with any of our eight flavours. 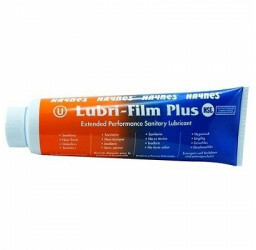 For trade customers or larger volume sites, you may wish to consider our discounted trade bulk purchase offers. 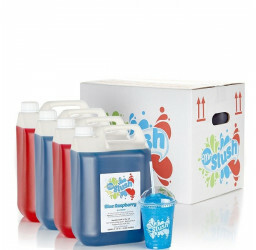 Buy your slush supplies online and you'll receive your order the very next working day.